Arthur S. Alperstein – Alperstein & Diener, P.A. Maryland House of Delegates, representing Northwest Baltimore County; 1972 to 1986. Vice-Chairman, Judiciary Committee, which handled all legislation concerning criminal law, motor vehicle law and civil law; 1983 to 1986. Chairman, Subcommittee on Motor Vehicles Laws, 1975 to 1986. Member, House of Delegate Leadership, 1983 to 1986. Member, Administrative, Executive, Legislative Review Committee (AELR), which approves all administrative and executive regulations and appointments during the interim between legislative sessions, 1983 to 1986. Chairman of the Baltimore County Delegation of the Maryland House of Delegates, 1978 to 1982. Member, House Judiciary Committee, 1972 to 1986. Selected for inclusion in the 2011 and 2008 Baltimore Magazine, Super Lawyers of Maryland/The Top Attorneys in Maryland - Criminal Defense. 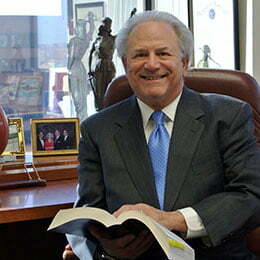 Selected as one of the Top 100 Maryland Trial Lawyers by the American Trial Lawyers Association. Recipient of The Bar Association of Baltimore City’s Presidential Award, 2009 for selflessly undertaking community, civil and/or charitable service which brings honor to the profession and for devoting time and energy to the Bar Association of Baltimore City through substantial work on the BABC committees, and other exemplary service to the Association. Selected as one of the five outstanding Young Marylanders by the Maryland Jaycees. Selected to the Safety First Club of Maryland, Inc., Hall of Fame for outstanding service, September 22, 2005. Received the "LEADERSHIP IN LIFE SAVING AWARD" from the Safety First Club of Maryland. Recipient of the "LEGISLATOR OF THE YEAR AWARD" from the Baltimore County Young Democrats. Legislator of the year Award, Shomrin Lodge, Independent Order of Brith Shalom for sponsorship of Anti-Crime Legislation, 1981. Certificate of Appreciation, Jewish War Veterans, Department of Maryland, 1979-80. Listed in Who's Who in American Politics. Man of the Year and Humanitarian Award, 1984, by the Jewish War Veterans National Memorial, Inc. Certificate of Appreciation, 1985, Maryland Association of Women Highway Safety Leaders. Appreciation Award, Maryland State Troopers Association, 1984. Appreciation Award, Maryland and Baltimore City Fraternal Order of Police (FOP). Awarded the Governor's Citation by Governor Harry Hughes for outstanding leadership and community service, 1981. Received Baltimore County Executive's Award for Outstanding service and Leadership to the Citizens of Baltimore County, 1981. Received Anne Arundel County Executive's Award for Outstanding Service and Leadership to the Citizens of Anne Arundel County, 1981. American Pediatrics' Association's Man of the Year, 1983 for sponsoring child restraint legislation.